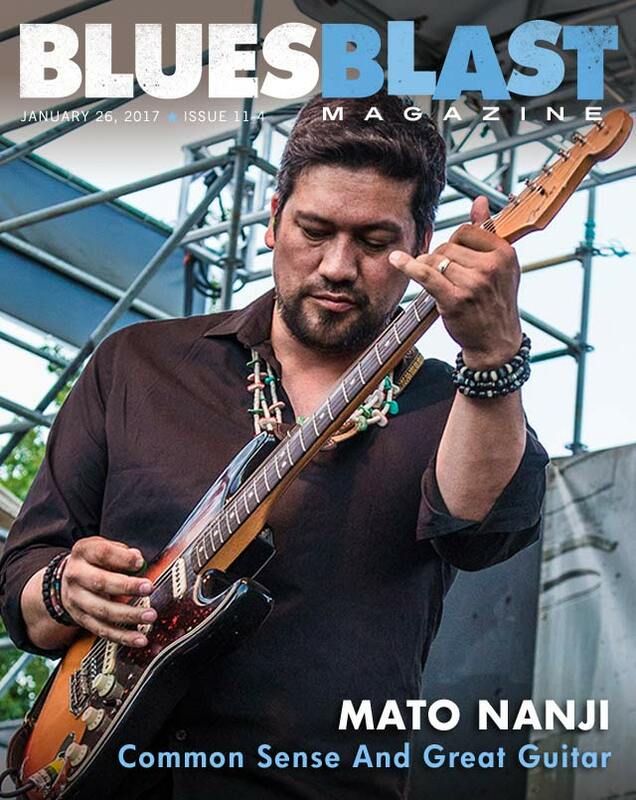 Terry Mullins has our feature interview with Indigenous front man and guitar icon Mato Nanji. 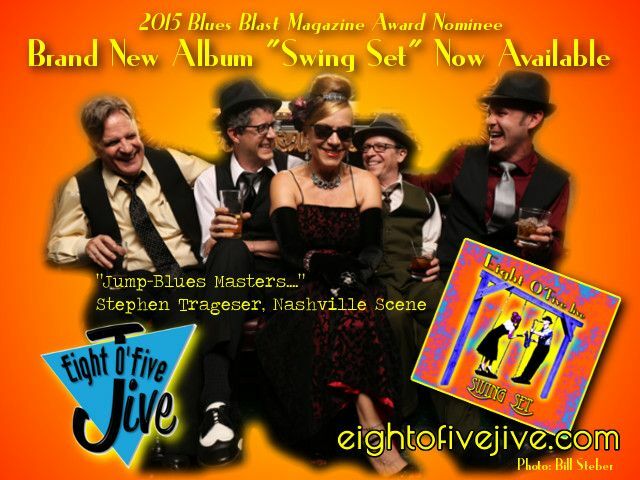 We have 8 Blues reviews for you this week including a new book by Marie B. Trout plus reviews of new music by Eight O’Five Jive, Fabrizio Poggi and the Amazing Texas Blues Voices, Owen Campbell, Fiona Boyes, Anton Machleder, Shakedown Tim & The Rhythm Revue and Paul Reddick. 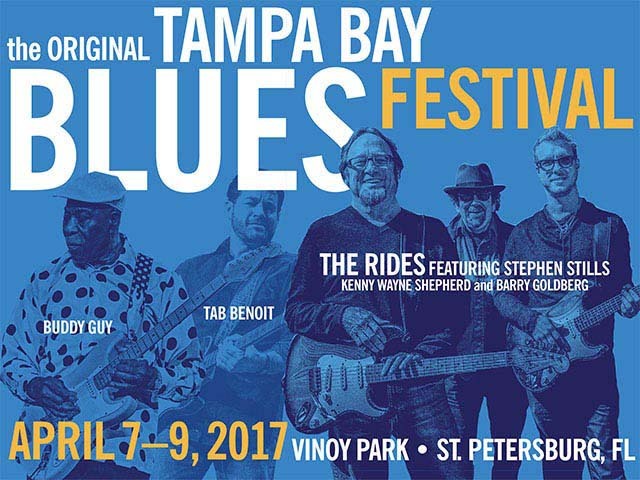 There will also be a ton of Blues Showcases held all week long plus on Friday there is the “Keeping The Blues Alive” Award ceremonies. Also on Friday there is a great symposium moderated by journalist and Blues Blast contributor Don Wilcock called “Blues as Healer” which will look at the restorative power that music, especially blues music. It features a panel discussion with Walter Trout, Marie Trout, Kenny Neal, and Patti Parks. Finally I wanted to mention The Chicago Blues Camp, a great event and learning opportunity being presented in June by one of our sponsors and advertisers. Chicago Blues Camp is a unique 5 day immersive learning and performance opportunity for adult musicians to learn from and play authentic Chicago Blues with leading blues performers. There are two 1-week camp sessions during the month of June. Camp instructors include Billy Branch, Billy Flynn, Donald Kinsey, Jimmy Burns, Paul Kaye and Rockin’ Johnny Burgin. 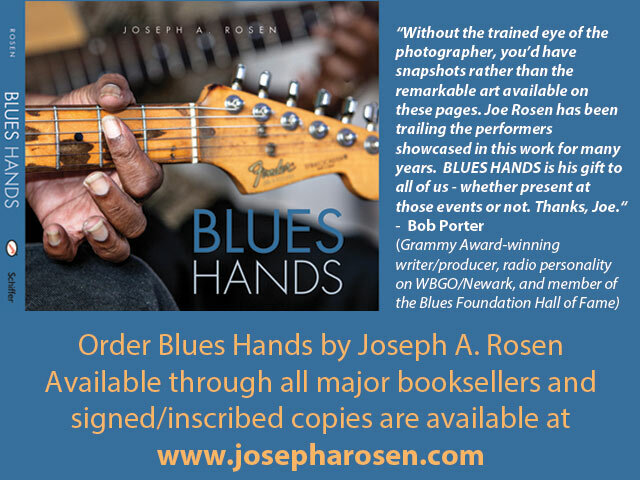 Plus Chicago Blues Camp will also feature a host of guest artists who will visit the class to share their personal tips and insights into the Chicago Blues style including legendary players Bob Stroger, Chainsaw Dupont, Charlie Love, Eddie Taylor Jr, Joe Filisko, John Primer, Lurrie Bell, Matthew Skoller, Melvin Smith, Mike Wheeler, Omar Coleman, Rick Kreher, Tom Holland and others. 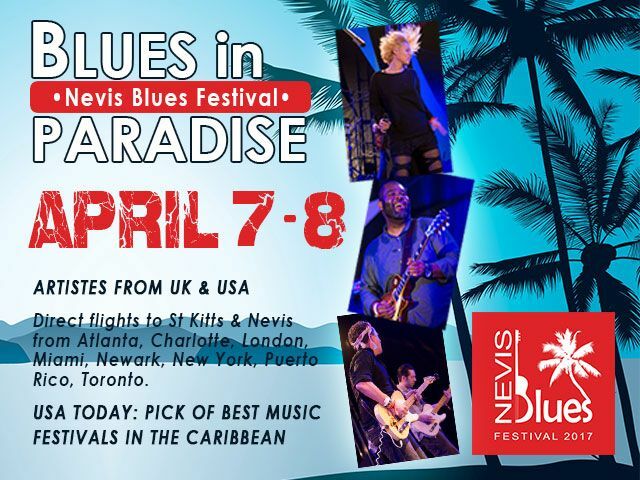 Don’t miss this great opportunity to get your Blues Mojo goin’ on. 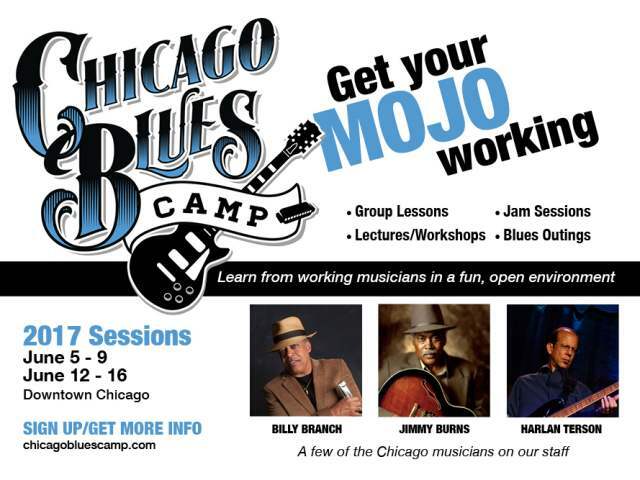 Check out The Chicago Blues Camp at www.chicagobluescamp.com or click on their ad below in this issue! 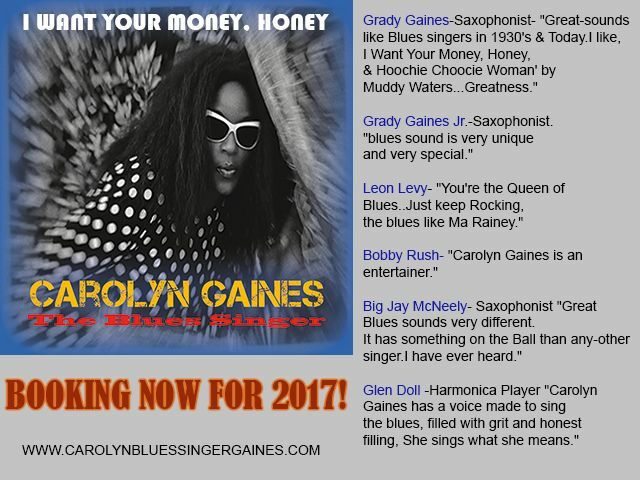 Wishing you health, happiness and lots more Blues music in 2017! 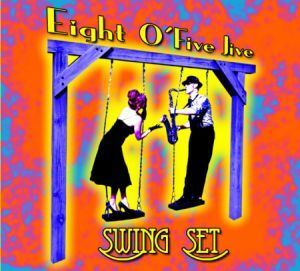 Harking back to a bygone era several generations removed, the Nashville-based ensemble Eight O’Five Jive sounds right at home with a retro style full of cool rhythms designed to excite the dancers and humorous lyrics that address the various shades of love as viewed through an alcohol-induced sheen. Vocalist Lee Shropshire has a smooth, mellow voice complimented by vintage dresses and cool spectacles. Her husband, Andy Scheinman, is the band’s guitarist. The other instrumental soloist is saxophonist Patrick Mosser while the swinging beats stem from the combined efforts of Bill Bois on bass and Duane Spencer on a Cocktail drum kit. The four musicians also add backing vocals as needed. Several blasts from Mosser’s horn open the disc, then Shropshire delivers a smooth litany of her cocktails of choice with a special request on “Make Mine A Double”. On the closing track, ‘A Little Bit Of Bourbon,” she finds comfort in the warm glow generated by the whiskey, with Scheinman urging her on with a fleet-fingered solo. In between these bookends, the group runs through nine other songs that never fail to induce your feet to start tapping. “Get Away” is a excited plea for a break from the stress of life, accented by Mosser’s brawny sax. The buoyant tempo on “Never” will certainly fill the dance floor every night while “One More Glass Of Wine” returns to the alcohol theme, with Shropshire breaking out her femme fatale attitude as she delivers a resounding kiss off to a man headed out of her life. Mosser chills the mood with a wispy solo that seems to come complete with late-night cigarette smoke. The mid-tempo glide and humorous lyrics on “Watch Out For The Wives” take some of the edge off Shropshire’s recitation of mistreatment at the hands of male deviants. She issues a no-doubt-about-it warning on the bluesy ‘Back of My Hand,” letting her man know she is nobody’s fool. Throughout the disc, Mosser and Scheinman deliver short, concise solo statements, as they do on “Put It Back” while Shropshire delivers a captivating sermon on booze, neon lights, and enjoying life after the work day ends. “Ragged” finds Shropshire looking for a break from her man’s constant attention, reassuring him that her love is true. On “I Won’t Wear Flats (To Your Funeral),” her voice rides a jazzy rhythm while delivering a solemn promise to celebrate in style once her man leaves this world. The lone cover, “My Mumblin’ Baby,” is a rocking tribute to a tongue-tied man complete with Mosser’s obligatory sax solo and a fiery turn from Scheinman before the duo engage in a heated musical exchange. The party never ends for Eight O’Five Jive. Even when things take a turn for the worse lyrically, the band keeps swinging their cares away with tight rhythms and a hep cat attitude that has no time for worrisome, downhearted blues. This one will be a guaranteed delight for for all the cool chicks and chucks! 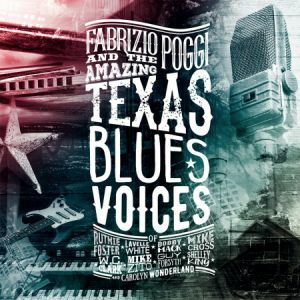 Fabrizio Poggi is an Italian blues harp player who has released his 20th album with Texas Blues Voices. 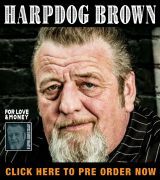 He has collected up a host of Texas blues singers and musicians to feature on this landmark CD where he showcases his harp and their skills in a mix of traditional songs, covers and songs written by the artists. Poggi plays but does not sing here: each cut features a Texan fronting his great band of players. The backing band is tight. Bobby Mack and Joe Forlini are on electric and slide guitars. Cole El Saleh does the piano and organ work. Donnie Price is on bass while Dony Wynn is the drummer and percussionist. Carolyn Wonderland gets thing started on the Blind Willie Johnson tune “Nobody’s Fault But Mine.” She testifies to us as she demonstrates why she is dubbed the queen of the Austin blues scene. Shelly King and Mike Cross back her vocals as Poggi wails on harp and Wonderland and Mack do some nice guitar work. Passion and power reign here; the piano and organ takes it up even one more notch of goodness. A great start to a great album! Ruthie Foster’s version of Brownie McGee’s “Walk On” follows. Forlini’s slide is impressive but it’s Ruthie’s vocals that really make this one special- she is amazing here! This is another winner to listen to with some slick harp and just a great overall sound. The guitars, keys and vocals are very well done. Mike Zito gives us his take on “Forty Days and Forty Nights,” the song Muddy Waters immortalized. Zito takes the tempo down a notch and offers up some gritty vocals and guitar to go along with Poggi’s persuasive harp. Nicely done! Zito and Poggi turn this into some sweet slow blues . W.C. Clarke takes the lead with a cut he did with Stevie Ray Vaughn and was the B side to “Hole Sound.” “Rough Edges” is a very upbeat and uptempo rocking blues with great guitar work by Clarke and Mack. Poggi, of course, delivers some stratospheric harp to make it even better. Clarke shows his chops on both guitar and vocals- well done! Miss Lavelle White is featured on “Mississippi, My Home,” her cut about the tough times growing up and living in Mississippi.Wonderland takes the first solo and Mack the second (on slide) but White offers up some amazing vocals. Her bio reports her singing with Aretha, Bobby Bland, Otis Redding, Sam Cooke, Junior Parker, Junior Wells and Buddy Guy and I can see why they sang with her! At 88 she still has it. Poggi offers more impassioned harp to go with the fine guitar work, too, and Cole remains solidly great on keys- superb piano on this one. Bobby Mack is featured on Jimmy Hughes’ “Neighbor Neighbor” and he gets to show us what he’s made of. He’s played with so many greats and we see here why. His vocals and guitar are both fantastic here. 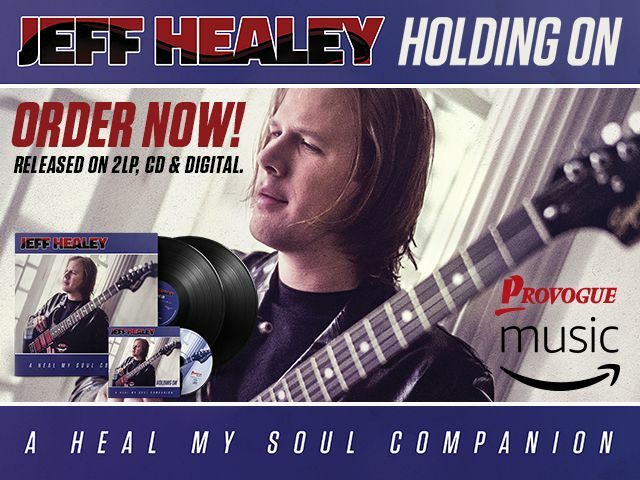 Suave and cool, he delivers a great rendition of a song covered by Gregg Allman, the Dead, and The Spencer Davis Group. Mack does a marvelous job as Cole kills it on organ and Poggi blows some mean harp. More outstanding stuff here! Mike Cross and Karen Marie wrote “Many In Body” which Cross leads with acoustic guitar and vocals. Wonderland and King help take us to church backing Cross on this sweet Gospel tune. El-Saleh’s organ is spot on and we have Radoslav Lorovic on piano in fine support, too. Joe Folini’ s guitar is also well done as is Poggi’s harp- a gregariously fun solo that is followed by some fine slide. Cross is a super vocalist and is quite convincing in his testimonial! It is a raucous and fun song. Shelley King sings her song “Welcome Home” and plays acoustic guitar, too. She sings with Carolyn Wonderland and has a subtle and cool vocal style. Cross and wonderland back her up and Wonderland also offers up a guitar solo. Forlino does most of the electric guitar work and Poggi mixes up some chromatic stuff with his regular harp here. King is a fantastic vocalist in her own right and I was glad to get the introduction to her here. Forlini and Cross wrote “Wishin’ Well;” it features Cross on vocals and Forlini on guitar. Joe plays some impassioned Texas styled guitar as Cross delivers some great vocals. Forlini’s guitar and Poggi’s harp spar with Cross and make for a fun ride. Big solos by Poggi and Folini are impressive here. The traditional “Run On” is a classic cut done by Elvis, Johnny Cash, Odetta and Blind Boys of Alabama. Guy Forsyth sings and plays the National Reso-Phonic and Poggi adds his harp in a slick duet that completes the album. Great passion and chops here! I’ve heard Poggi before and was not sure what to expect. He’s got lots of really well done albums out there. Here he delivers a truly superb set of tunes by some of Texas’ finest. I loved the harp work by Fabrizio throughout- it was tasteful and poignant. The singers were all spot on and fantastic. The guitar work was impeccable. The keyboards were solid and supportive. There is nothing to complain about here. 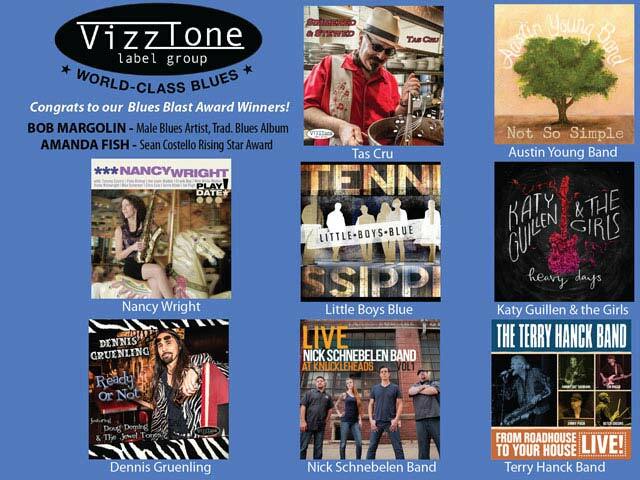 I loved this CD and blues fans can rest assured that this is an album that I think will be well received and broadly enjoyed by a broad spectrum of blues, Texas and roots music fans. Highly recommended! 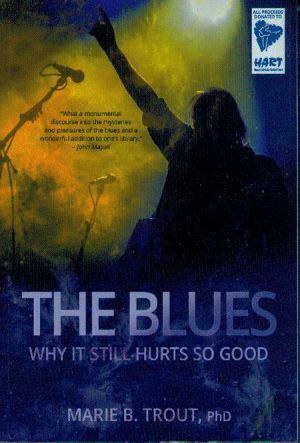 The title of the book, The Blues, Why It Hurts So Good, promises the reader a perspective on the blues genre that breaks the chains of the mantra “Keeping the blues alive.” There is a subliminal suggestion in that oft quoted catch phrase that suggests blues is an anachronism whose very existence as a contemporary theme song for our lives is in jeopardy. Dr. Marie Trout trounces that suggestion and makes the slogan instantly passé. She not only makes good on proving the validity of her title, she also shatters more than one glass ceiling in the process and gives the fan base the promise of a bright future. First of all, she’s not your typical blues journalist, a middle-aged male obsessed with the blues as an adult outlet for adolescent excesses at the altar of pop rock. No, she’s a beautiful Danish blonde who earned her Ph.D. writing her doctoral dissertation in Wisdom Studies on the healing effects of the blues. That dissertation became this book. She does not base her conclusions that blues is emotionally, physically and medically good for you just on personal beliefs but rather on detailed questionnaires filled out by more than 1000 readers of several blues websites. She followed up those questionnaires with random interviews with respondents as well as in-depth interviews with industry veterans like Bruce Iglauer, founder of Alligator Records, and bluesman Joe Louis Walker. Don’t think for a moment that Dr. Trout’s tome is informed solely by hollow echoes from the halls of academia. Yes, she draws conclusions from carefully documented research, but, more importantly, she processes her data through the eyes of a blues road warrior. For a quarter century she’s been in the blues trenches as manager to her husband, award winning blues rocker Walter Trout. Add to that her experience as Walter Trout’s care giver through a harrowing two years where he came perilously close to dying before receiving a live transplant. The process of writing this book saved her sanity as she watched her husband nearly disappear in front of her. Her research uncovered the startling revelations that she and her husband are not alone in experiencing blues music as a sanity savior and life savior. The 1000 people who filled out her questionnaire confirmed that she and Walter are not alone. This book documents the amazing healing qualities of this music, not just for the artists obsessed by it but by the fans who form a bond with the artists and their work. They also confirm that while rock music touches the same chords, blues cuts way deeper with the honesty that comes from a life if not well spent, certainly just plain spent. 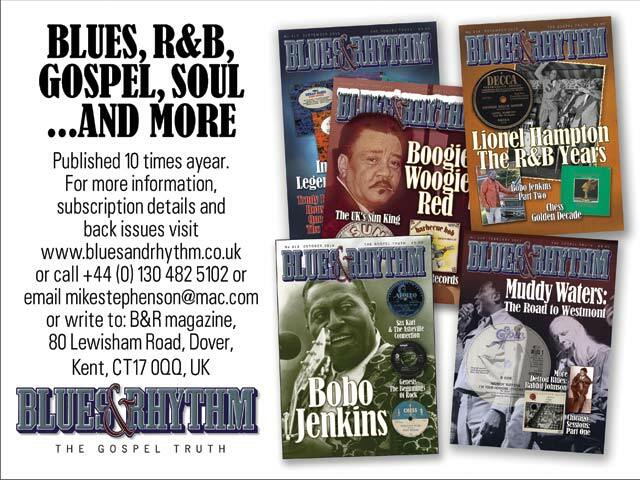 For half a century I’ve been telling the stories of blues artists who’ve struggled financially to keep their art alive. Add to that challenge the destructive lifestyle of the veteran road warrior and you often come up with a picture of a genre that can be as much a problem as it is a solution. Dr. Trout’s fascinating book is the yin to that yang. Her husband’s horror story has turned into an adult fairy tale. Not only did he cheat death and recover from a liver transplant, but he wrote a whole CD about the experience, Battle Scars, that defines catharsis. And he totally supports his wife’s work on this book, and that’s not simply nepotism. That it’s African American music co-opted by whites. She explains that good blues adds fresh and contemporary references that only add to this American cultural legacy regardless of the color of the artists’ skin. That white guilt accounts for some of its appeal to baby boomers. She prints comments from a majority of mostly white male respondents over the age of 40 that say the music stands on its own merits for this demographic. That the U.S. as a country has a horrible record of mistreating minorities. Her litany of abuses from documented sources in this regard is startlingly conclusive and powerful coming from the perspective of a European unsullied by American jingoistic pride. That blues encourages drug use. She shows that blues is a healthy alternative to drugs that induces a euphoric trance-like feeling. That blues is all about plain and suffering. She documents the cathartic effect of blues on both the artists and the fans. That blues is simple and simple-minded. While technically simple, she shows that blues probes the depths of feelings often buried or glossed over in other genres, that it brings to the surface emotions honestly, clearly and forthrightly. That blues is a retro rearview mirror. She documents the belief of fans that the best blues reflects the past which offers a rich heritage of American music, is the soundtrack for the present and is a window on the future of American culture admired the world over. It is refreshing to read a book about blues that lends scholarly validity to many of the positions blues journalists have been preaching at least since the ’60s. Some of Dr. Trout’s positions may be controversial, but her perspective is healthy both for the genre and for people who are hurting in so many ways and searching for a positive antidote. It’s no secret to blues lovers that the music is a tonic, but few have considered the topic important enough to verify its palliative effects statistically. Dr. Trout has done just that dramatically. I’m especially heartened, too, that this thesis has been done by a woman and a native of Denmark unsullied by the prejudices many American male writers have about the definition of the genre. The music has, is and will be defined by the fans who invest their hard-earned money in the work of the artists who provide cathartic heartfelt songs that pull on our heart strings and transport us into a Zen space with empathy for their messages. Dr. Trout’s husband Walter’s Battle Scars is amazing evidence of that, and the Blues Foundation’s Blues Healer Symposium will bring this all in sharp focus. 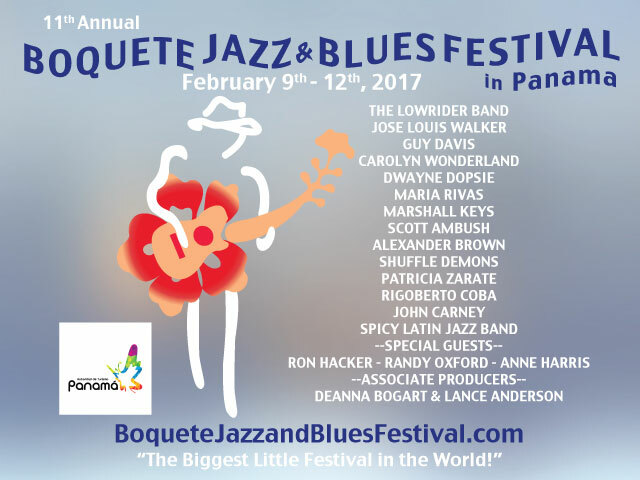 On Friday, February 3rd I will be hosting a panel consisting of Dr. Marie Trout, Walter Trout, 2017 BMA and Grammy nominee Kenny Neal, and registered nurse/blues performer Patti Parks as a marque event in the Blues Foundation’s 33rd annual International Blues Challenge. The panel commence at 2:15 p.m. at Alfred’s on Beale St.
All proceeds from The Blues Why It Hurts So Good are being donated to Hart Handy Awards Relief Trust. Owen Campbell Guitar came to the attention of the world at large as “The Angry Busker” on Australia’s Got Talent. He showed up with a lot of talent, a lot of miles on him and an attitude that used to define rock, blues and vagabond singers. The attitude offended what passes for entertainment industry professionals these days, and they almost kept him from going on. Luckily the producers noticed his talent and made sure he was on the show. He didn’t win which is probably the best thing that never happened to him. But the notoriety took him to America, and specifically to a recording studio in Nashville to cut this album. That attitude, the spirit of the road-worn vagabond, is all over this album and all over each of these original songs. Oh, it’s been cleaned up a little by the absolute killer backing band and producer Devon Allman. But Allman knows from his father, Greg, what raw country rock blues should sound like and he lays it down on every track. 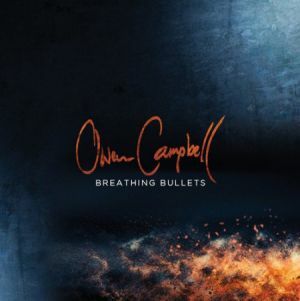 The opening title track, “Breathing Bullets”, kicks things off with Campbell’s signature raw vocals and percussive acoustic guitar, buoyed by great backing vocals by Wendy Moten and superb organ by Rick Steff. The high octane continues with the highly engaging “On My Knees” and “Howling” which show off his expressive howling voice. I wish he had actually howled a little more, but he channels it through an intense guitar solo instead. “Intensity” is a good word for this whole album. Campbell feels his music all the way to his gonads and puts it all in the recordings. I can’t imagine he left so much as a quarter rest on the studio floor. He also shows in “Rattlin’ Round” that slow songs can be just as intense as the rockers. This is a song of reflection and melancholy very nicely sung and played. The next track, “Eagle Man” brings seemingly disparate elements together: a haunting cello and percussion that evokes First Nations, which is fitting because this song tells the story of a Native American who longed to be as free as an eagle. His voice tells the story and the cello gives the Eagle Man wings. “Soldier Of Fortune” is another blues/rock tune with Wendy Moten’s powerful vocals a perfect counterpoint to Campbell’s more earthy sound. This is followed up with yet another strong song by Campbell, “Rise.” This is a slow, uplifting ballad about overcoming adversity through perseverance. It is a declaration of grit, and Campbell leaves true grit on every track of this CD. The eclectic nature of this album can be summed up in the final track, a rollicking Cajun-infused toe-tapper. You can hear hints of The Band in this track, not surprising since Campbell counts The Band as one of his major influences. This has some wonderful, distinctive Cajun piano by Rick Steff that carries the tune right up to the end. This is a very good album with strong, diverse songwriting that shows a lot of promise for songs not yet written, but eagerly awaited. Owen Campbell brings us a sound born and bred in American southern country blues all the way from the Land of Oz. 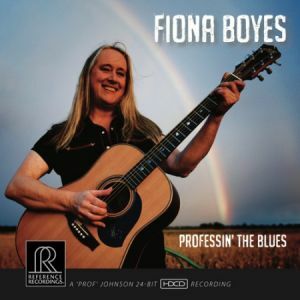 Australian singer/guitarist/songwriter Fiona Boyes returns to the basics with Professin’ The Blues, her latest release on California-based Reference Recordings. Fiona can roar like a lioness when backed by a full electric band. But this one catches in a much more relaxed setting. Like the first-generation blues men she honors, she delivers a collection of 14 originals and two covers in all-acoustic solo, duo and trio formats and accompanied in pared-down formats that include only bass drum and tambourines, cymbals and mallets and similar arrangements. She delivers her message on traditional acoustic, resonator and four-string cigar-box axes, backed only by bassist Denny Croy, who’s worked with Doug MacLeod and the Monkees’ Mickey Dolenz, and Jimi Bott, one of the most decorated drummers in the blues, whose pedigree includes service time with The Mannish Boys, The Fabulous Thunderbirds, Rod Piazza And The Mighty Flyers, Junior Watson and many others. All of the material was recorded in one take without benefit of any overdubs or added effects. A former graphic artist with Lonely Planet, the popular Down Under travel guide, Boyes’ career in the blues began about 25 years ago after winning an Australian-produced Maton guitar in a coffeehouse talent show. She released her first CD, Blues In My Heart, in 2000 after a five-year stint in the all-girl band, The Mojos. It earned her honors for Aussie’s Female Artist, Song and Album Of The Year. Three years later, she rocketed to stardom by winning the International Blues Challenge in Memphis. The 13th release in her catalog, this one’s dedicated to “Professor” Keith O. Johnson, Reference Recording’s technical director, who engineered this project at Skywalker Studio in Marin County using his own hand-built equipment. Beginning with “Can’t Stay Here No More,” it’s mellow and relaxed throughout with the ambiance of a home concert in front of a roaring fire – even though some of the subject matter is serious in nature. Boyes’ voice remains powerful yet subdued. The opener finds Fiona, a 2016 Blues Blast Awards nominee for Female Artist Of The Year, with her bags packed and ready to go at the end of a troubled relationship, while “Devil You Know,” which follows, displays the masterful fingerpicking techniques she employs throughout as it informs the listener that Satan might be living right next door ready to accuse you for any perceived indiscretion. The musical stylings brighten for “Lay Down With Dogs,” about a two-legged canine who’s running with the wrong crowd and coming home with fleas, while the ballad “Angels And Boats” describes Boyes’ new flood-prone hometown near the Great Barrier Reef on Australia’s east coast. “One Rule For You” features Fiona on a purposely out-of-tune National Reso-Phonic guitar as it criticizes folks who possess an unjustified sense of self-entitlement. She switches to cigar box lap guitar for “Card Sharp,” which is dedicated to a cheating ex and describes someone holding a hand with a disappearing queen. She’s back on Reso-Phonic for the tongue-in-cheek “Old And Stiff,” which refers to the condition her husband, known as The Preacher, once complained about upon waking. “If I Should Die” follows. It’s a simple tune on the surface, but contains deep meaning to the singer. “At The Crossroads” recounts a sermon delivered by The Preacher, who’s a real-life Anglican priest. “Love Changing Blues” describes the difficult path to finding real romance, from the perspective of a woman who was divorced and childless but found happiness with a man with five children and – now – eight grandkids. Covers of Big Joe Williams’ “Baby Please Don’t Go” and “Face In The Mirror,” penned by fellow Aussie bluesman Chris Wilson, bring the set to a close. 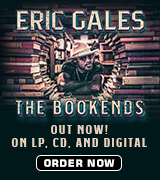 Available wherever fine CDs are sold, Professin’ The Blues is a delight throughout, gritty, yet sweet. Added bonus: A richly annotated, 20-page book of liner notes written and illustrated by the Boyes and designed by Kristy Hough. Here’s an album that’s considerably different from most of the CDs reviewed on this website. It’s an eclectic combination of blues-flavored classical, straight-ahead blues, jazz and world music delivered by someone who’s both a gifted concert guitarist and a highly respected college professor. Anton Machleder is a familiar face as a soloist on the chamber music circuit in addition to serving as an assistant professor of guitar at Houghton College’s Greatbatch School Of Music in Caneadea, N.Y., and also teaching the instrument and the history of rock at nearby Monroe Community College. A former student of three of the most important luminaries on classical six-string – Jeffrey Goodman, Ronald Pursell and Manuel Barrueco, he made he’s played Carnegie Hall and is skilled in classical, flamenco and synth guitar in addition to blues-related electric and acoustic stylings. He produced and recorded Non Solus, which translates from Latin to mean “alone by oneself,” at his studio in Rochester, N.Y. It’s the third album in his catalog. 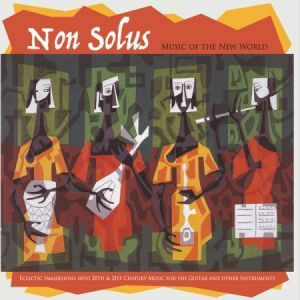 He’s assisted here by Nicholas Goluses, Rez Abbasi and Marty Lofaso (guitar), John Nyerges (keyboards), Hye Sung Choe (flute), Omar Faruk Tekbilek (ney, a Middle Eastern flute), Philip Borter (cello), Wayne Naylor (bass), Mike Plouffe (drums). Guitarist Dan Schmitt features prominently, too, in addition to providing vocals for all of the blues cuts. Katie Halligan and Breyana Lanay provide vocals on one cut. Four instrumental classical numbers — Astor Piazzolla’s “Histoire Du Tango” in two parts, “Café 1930” and “Nightclub 1960” and Radames Gnattali’s “Sonata For Cello And Guitar” in two parts, “Allegretto Comodo” and “Adagio” – begin the action. The former feature a duet with Choe have some blues overtones since they’re written in a minor key. Machleder is unhurried as he delivers sweet single-note runs amid chording. The latter pair Machleder with Borter and are much more formal for blues lovers. “Other Tones,” a minor-key jazz pairing written by and features Abbasi, is up next before the first blues number, Machleder’s original, “Gypsy Dance.” Featuring the ladies on vocals, it’s quite an aural departure with its full-band arrangement and breezy feel. Available through Amazon, iTunes, CDBaby and other retailers, this one’s definitely targeted for folks with adventurous listening habits. I enjoyed it. Machleder’s an excellent musician no matter the format. But if you’re stuck in the rut of the old one-four-five, you’ll probably be disappointed. Additional note: although richly annotated inside, the front of the CD, which won a Global Music Award, fails to credit Machleder. 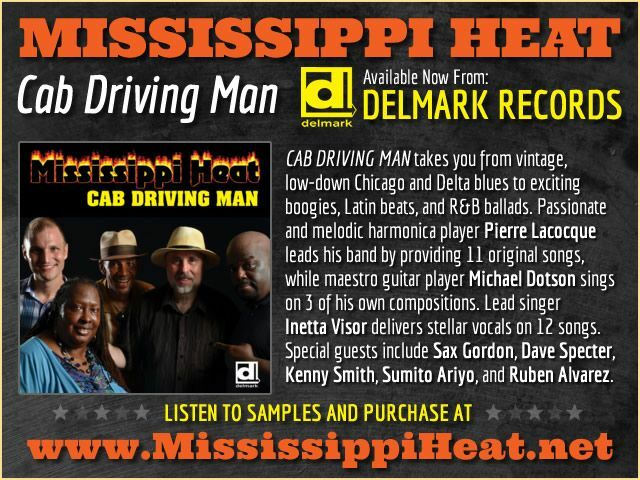 Even though guitarist/vocalist Shakedown Tim Ielegams has been one of top performers in the blues scene of Belgium for the past 20 years or so, this debuts his new group, which successfully delivers a combination of jump, swing and boogie guaranteed to keep you on the dance floor. 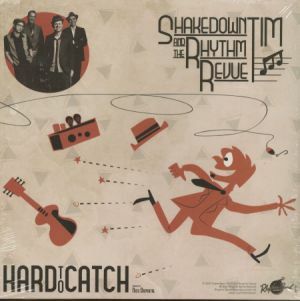 Hard To Catch was produced by French guitar stalward Nico Duportal, a longtime fan of the blues being produced in the nation on his homeland’s eastern border, and released on the British Rhythm Bomb Records imprint. One of the bands he enjoyed most was Fried Bourbon, co-founded by Shakedown Tim and his harmonica playing partner, Steven Troch. Fried Bourbon broke up after a decade-long run. When Tim – who’s shared the stage with James Harmon, Gene Taylor and other blues luminaries — launched his new ensemble, Duportal was eager to get them into the studio. This album is the result. The band creates a full sound with a four-man lineup that includes Bart Stone on tenor and baritone sax, Dennis Tubs on drums and Boss on bass. Duportal contributes guitar on one cut and backing vocals and percussion on others, and Joes Brands contributes maracas and shakers on another number. The loping shuffle, “How Long,” opens the set of eight originals and three covers as Shakedown Tim wonders if the troubles plaguing the world today will ever come to an end. The arrangement is simple with Stone’s horn lines in full command until Tim’s mid-tune solo. He’s got a strong baritone voice and delivers his material in English with just the slightest of accents. “Red Hair” swings from the jump atop a driving guitar rhythm as it describes a beauty that catches the singer’s eye from the stage and she can’t help noticing him staring. Tim’s single-note lead break shines as the action heats up with Stone’s horn. The band switches to a little Delta blues with the fishing song “Hard To Catch,” which comes across with sexual undertones. There’s no mistaking the meaning of “Take Off Your Clothes,” a slow blues written by Donnie McCormack that features a beautiful horn intro, before the instrumental “Shakedown” comes across with a swinging feel that hints of T-Bone Walker and puts Tim’s guitar technique on display. Next up is a faithful cover of Junior Parker’s familiar “Feelin’ Good” set up with a spoken introduction about a visit to Red’s, the popular juke in Clarksdale, Miss. The tempo slows for “This Ship,” a loping account of a boat adrift without a captain and about to go under, a metaphor for difficulties in dealing with problems in everyday life. “Wild Calypso Night” follows with a syncopated island beat before the catchy “Wiggle Wobble” describes the singer’s urge to dance every time he hears the funky beat. Another swinging instrumental, “Takin’ Off,” follows with more fine fret work before an extended version of “Feelin’ Good” serves as a bonus cut and brings the CD to a close. Available through Amazon, Bear Family and other online retailers, Hard To Catch is a whole lot of fun, especially if your tastes run to jump and swing. 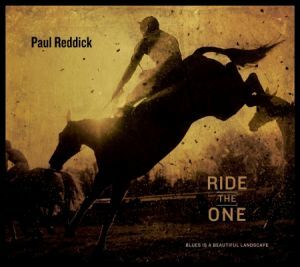 If you are familiar with Reddick’s previous albums, Ride the One will not be what you expect as it has many more layers of sound and a decidedly intense feel. This is modern blues with an edge to it, and it takes a few listens to get the whole picture of what Paul is trying to accomplish, but he definitely succeeds. The opening track, “Shadows,” is a perfect example of this as it hits the listener solidly with Downham and Ruddick laying down a fervent beat. Over this there is a thunderous chorus of guitars and Paul carrying the melody with hs howling vocals and growly harp, both of which are served up with a bit of distortion. There is a lot going on here. He’s not a politician, he’s not a lobbyist and he doesn’t hold a degree in environmental sciences. Mato has played several benefit shows for Standing Rock this past year and he says he’s been encouraged by the response to the shows. Although the epi-center of the battle is several hours from where he currently calls home, Mato says the possibility of negative impact is imminent where he lives, as well. Standing Rock didn’t come up many times on last year’s campaign trail, from either the Democratic or Republican candidates, and the currently-standing administration has not had a whole bunch to say on the matter, either. So, are those involved with the protests encouraged at all that the new administration will listen to the voices of the people and become involved? While the Dakotas have been much talked about in recent months because of Standing Rock, the two states were never much a part of the national conversation when the talk turned to blues music. Mato and Indigenous helped to change that. The original lineup of the band included Mato (guitar, vocals), his brother Pte (bass), his sister Wanbdi (drums) and cousin Horse (percussion). In addition to being a spiritual advisor and spokesperson for the International Indian Treaty Council, Mato’s father – Greg Zephier, Sr. – was also a musician, who was in a group with his brothers. He helped turn on Mato and his siblings to the wonderful world of the blues. There was no master plan for Mato and his siblings to make an immediate splash on the blues scene and begin world dominance back in those days. Rather, they were just interested in getting out and playing in front of as many people as possible, starting with their local circuit. It can sometimes be hard for a group of young blues players in their teens and early 20s to break through and find welcoming ears among the older, more mature fans of the genre. It’s almost like if a younger band has not earned their stripes, then they can be shunned. Compound youth with being Native Americans playing the blues and it would seem like Indigenous had a lot of barriers to break through and a big mountain to climb in order to find love amongst the blues crowd. By Mato says that really was not the case. However, being Native American and playing in a band called Indigenous did leave some fans scratching their heads early in the game, Mato says. The original lineup of Indigenous lasted for four more albums after their debut (Circle, Fistful Of Dirt, Indigenous and Long Way Home) before Mato and his siblings decided the time was right to go their own ways in 2006. Although they may not be related to Mato, that family vibe still runs deeply through Indigenous in 2017. Indigenous recently completed work on a follow-up to 2014’s Time Is Coming (Blues Bureau Int’l). Varney has been behind the board on the last three Indigenous albums. After working with and helping to launch the careers of some of the most hair-raising guitarists on earth (including Chris Duarte, Yngwie Malmsteen, Paul Gilbert and Marty Friedman, to name a very few), it’s safe to say that Varney knows guitar like Willard Scott knows weather. Mato is not one of those songwriters who feels the need to sit down with a pen and paper in hand and forcefully try to write a song. For him, the process is more organic. 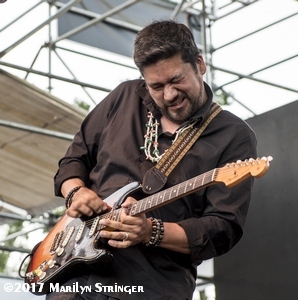 Since first hooking up with them in 2002, Mato has been a featured and integral part of Experience Hendrix, the annual tour that celebrates the music and legacy of Jimi Hendrix. Hendrix is one of those iconic musicians whose popularity never seems to dip or wane, even nearly 50 years after his passing. 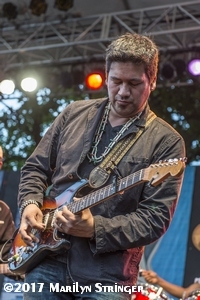 After the 2012 edition of the Experience Hendrix Tour wrapped up, Mato went into the studio with a pair of fellow guitar slingers from the tour – Luther Dickinson (North Mississippi Allstars) and David Hidalgo (Los Lobos). When they re-emerged, the trio came out with 3 Skulls And The Truth (Blues Bureau Int’l), an album that more than showcased their abilities on the guitar. It was bluesy, psychedelic, loud … and above all … down and dirty. 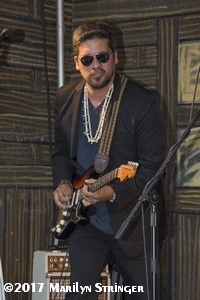 Mato has never been strictly a blues player, nor has Indigenous ever been strictly a blues band. But blues music is most definitely what provides the fuel that feeds the engine that keeps Mato and Indigenous rolling along. And the way he sees it, people that are listening to his band as more of a vehicle to rock out to, may not even realize that they’re getting a hearty dose of the blues along the way. When he young, Mato might not have known that his father was a musician and played in a band, but seeing his instruments around the house still had a magnetic effect on him during his youth. 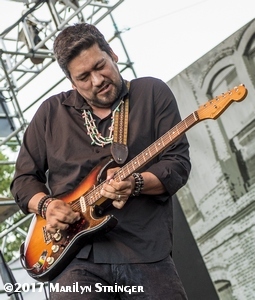 After first picking up one of his father’s guitars and then learning to play as a teenager, Mato probably didn’t stop and think for one second that a couple of decades down the road, that he would become an inspiration for today’s generation of young blues guitarists to sink their teeth into. The Illinois Central Blues Club has announced the line-up of talent for the Blue Monday live performances and jam sessions held every Monday night at The Alamo, 115 North Fifth, Springfield, IL from 8:00pm to midnight. January 30 – Slam Allen, February 6 – Maurice John Vaughan, February 13 – Dave Lumsden & Friends, February 20 – Southside Johnny, February 27 – Jeff Jensen. Additional ICBC partnered shows: February 2 – James Armstrong Presents @ The Alamo, 6 pm, February 16 – James Armstrong Presents @ The Alamo, 6 pm.